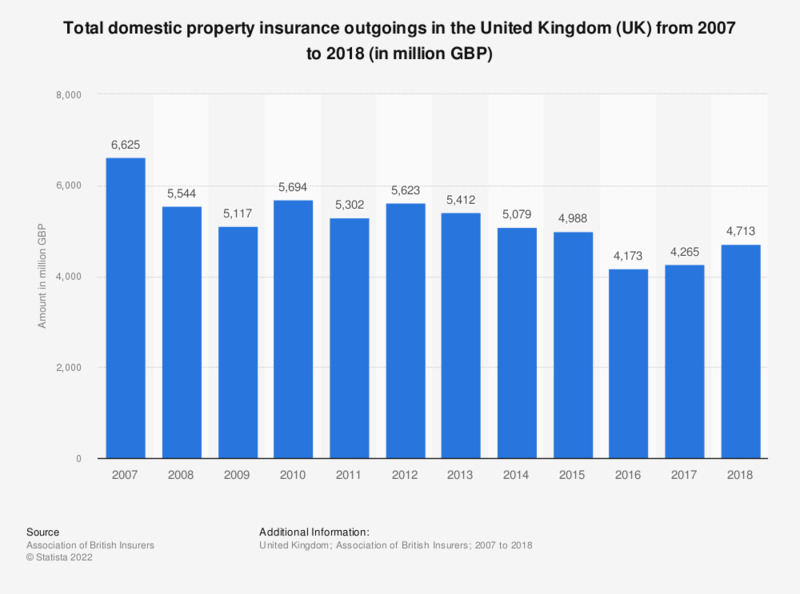 This statistic shows the total domestic property insurance expenses of the general business insurance market in the United Kingdom (UK) from 2007 to 2017. Overall the value of domestic property insurance outgoings decreased between 2007 and 2017. In 2017, the total domestic property insurance expenses reached a value of under 4.3 billion British pounds (GBP).